The epic story of the first contact, encounter, approach, betrayal and, eventually, life-transcending friendship, between an Amazonian shaman, last survivor of his people, and two scientists. Inspired by the journals of the first explorers of the Colombian Amazon, Theodor Koch-Grunberg and Richard Evans Schultes. Karamakate, a powerful Amazonian shaman, last survivor of his people, dwells deep in the jungle, in voluntary isolation. Decades of solitude have turned him into a chullachaqui, an empty shell of a human, devoid of memories and emotion. His hollow life is shaken with the arrival of Evan, an American ethnobotanist in search of the yakruna, a powerful sacred plant, capable of teaching how to dream. 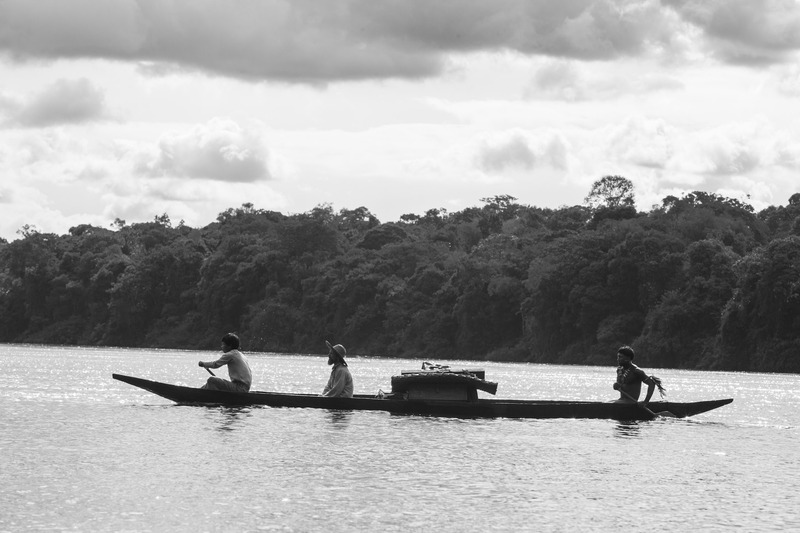 Together they embark on a journey into the heart of the Amazon in which past, present and future are intertwined. This brings back the memories of a torn friendship and the reasons for his deep pain, which will not go away unless he shares his ancestral knowledge, which seemed destined to be lost forever. Ciro Guerra was born in Río de Oro (Cesar, Colombia). His first two feature films were selected in more than 160 film festivals internationally and are widely acclaimed. His third feature, EL ABRAZO DE LA SERPIENTE became the first Colombian film to be nominated for the Academy Award for Best Foreign Language film.